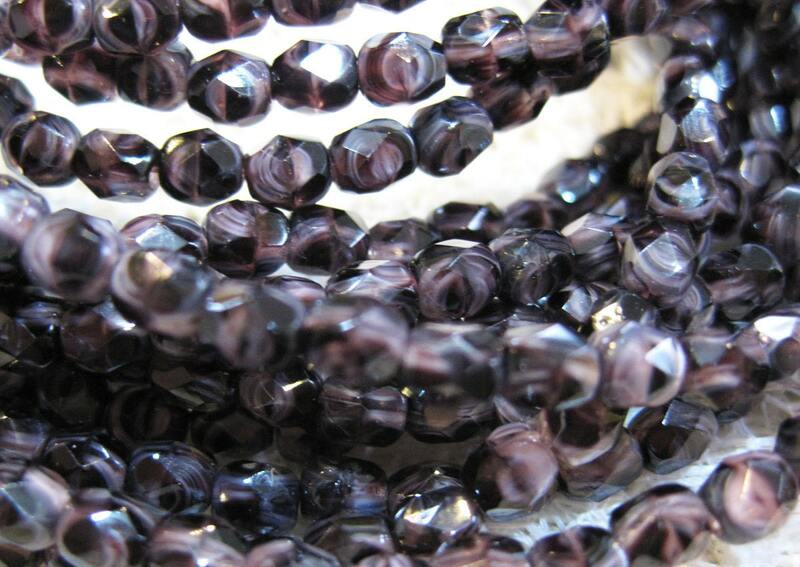 One strand of 50 dark purple blueberry swirl Czech fire polished crystal beads. These beads measure 4mm. Add some sparkle to your jewelry creations!